The APATITE Fixed Wavelength Detector is an economical filter based UV-detector for use in the range of 200 – 600 nm depending on the filter purchased or selected. Only one wavelength can be measured at any given time. Several filters could be purchased and loaded or reloaded by the customer as required for optimal detection. The APATITE UV-Vis detector is easy to operate and has built-in diagnostics and keeps track of lamp operating hours. The detector performs automatic wavelength calibration after the lamp has been switched on. 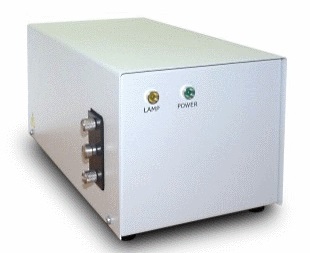 The high intensity deuterium lamp is housed in a special socket that makes for easy exchange or replacement. The standard flow cell supplied is AC05 for analytical chromatography applications and it is located at the front of the housing for easy removal. 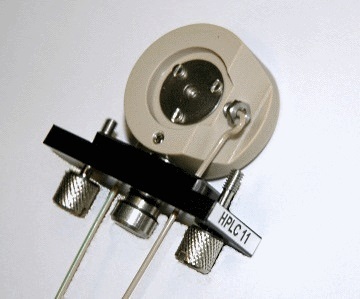 The APATITE Fixed Wavelength UV-Vis Detector can be used with any existing components or with the Spider C06 Fraction Collector and Injector available from Rose Scientific.